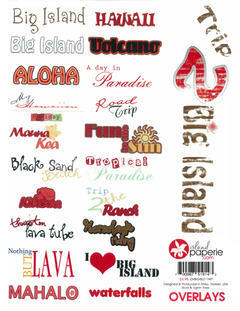 8.5x11 Big Island Transparent OverlayTags. Made in Hawaii, Maui. Use these tags as Embellishment to your scrapbook pages.